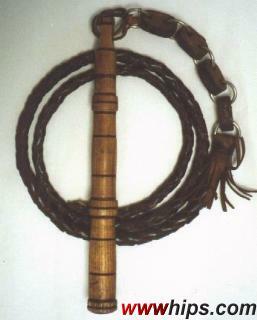 This whip is a Hungarian, although the seller said it´s from the Czech Republic. Note the unique chain connection between handle and 4plait thong, steel and leather members alternate. The whip had the usual long fall, but it was lost.